A bright orange glare casts a warm glow over the endless quintessential Tuscan landscapes as the sun begins to set behind cypress-studded hills. The perfect setting for romantics, the Chianti region has long-inspired a swathe of artists and writers who lift the natural beauty and translate it delicately into words and images. Picking up a glass of reputed Chianti wine that’s produced from the region’s immaculate snaking vines, you soak up the last dapples of sunlight and admire the sumptuous surrounding views of fields ablaze with sunflowers, historic olive groves and pretty hilltop hamlets. Will you succumb to the charms of Chianti? 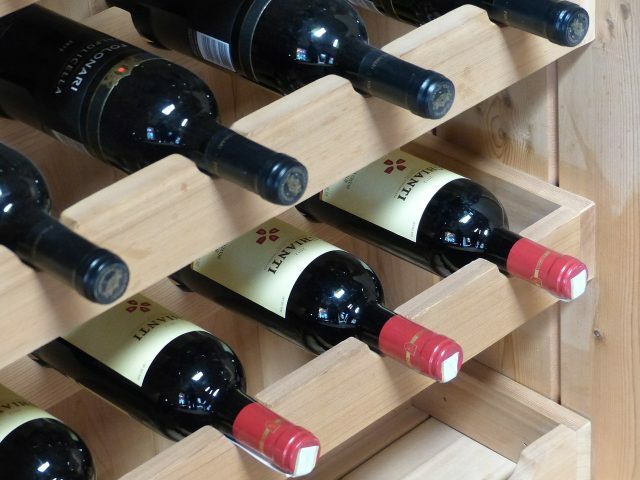 When it comes to wine, Tuscany is renowned for its ability to create the earthy and rustic, red berry tasting Chianti and Chianti Classico fine red wines. The weather and soil offer the perfect conditions to produce some of the best wines in the world – and the landscapes are shaped by the wine-making tradition. Stretching between Florence and Siena, perfect rows of vines stand in military positions down hillsides and on rolling pastures, awaiting the winemakers to carefully select the grapes to bring to fermentation. Vendemmia – the Italian word for harvest – is an important occasion for the locals. Visiting in mid to late September, you might catch them intricately picking the best grapes at the optimum time, cutting them from the vines with precision and placing them in a wicker basket or plastic container. Be sure to follow the mostly off-road Chianti Wine Route, and if you pick up a bottle or two, look out for the iconic black rooster on the labels! 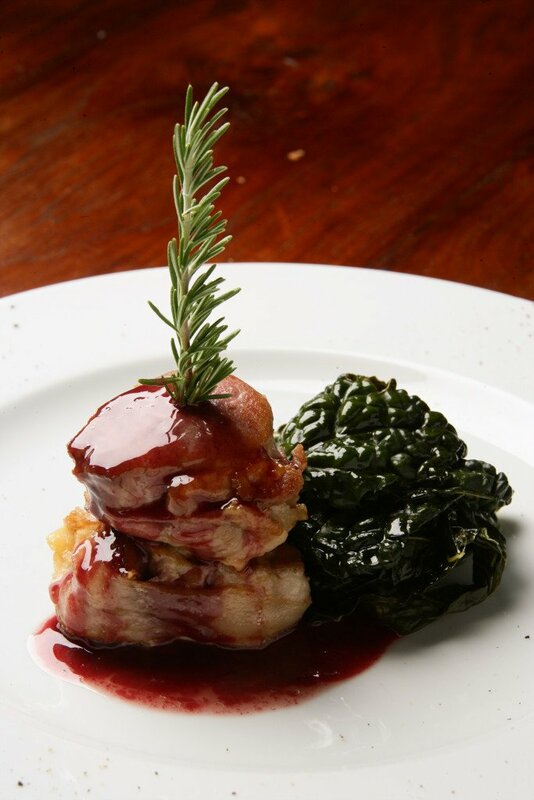 Classic Chianti cuisine is lovingly created from fresh seasonal ingredients, often grown in gardens or sold at local markets. Bread is the basic ingredient used in many dishes, such as pappa al pomodoro (tomato and bread soup) and ribollita (vegetable and bread soup), that make delicious and comforting starters. Lightly toasted Tuscan bread rubbed with raw garlic and a drizzle of freshly-pressed olive oil is also a tasty snack. Game, as well as beef, pork and locally-cured meats are popular on a typical menu as are homemade, rich pasta dishes, including the special tagliatelle al tartufo, pasta draped in a truffle sauce. Perched on lush green hills are ancient walled villages and towns, featuring cobbled streets and castles reminiscent of bygone times. Home to friendly locals, they’re only too happy to chat to you as you pass through on foot or by bike whilst you’re admiring the stretching views, lunching in a piazza or visiting the Etruscan ruins and buildings. 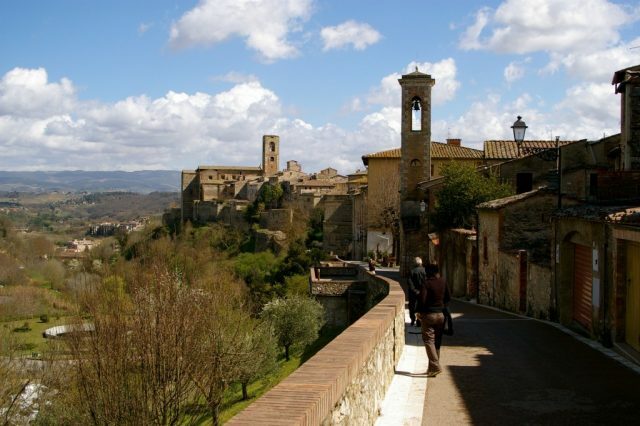 Volterra is a real Etruscan gem of a town that’s rich in history, dating back to before the C7 BC. Strolling through its tangle of alleys home to alabaster workshops and secret chapels, you’ll feel as though you’re stepping through the pages of a history book as you effortlessly discover the well-preserved Porta dell’Arco and Porto Diana, the two gates for entering the city, and the Acropolis that houses several buildings and the foundations of two ancient temples. Casole d’Elsa is an Etruscan village boasting a C14 castle with views stretching as far as Monte Amiata in the south of Tuscany, an amphitheatre and 200 painted tombs. San Gimignano is a UNESCO World Heritage site, labelled the ‘Manhattan of Tuscany’ that has soaring mystical towers and is dominated by vines – there are plenty of wine-tasting opportunities here! 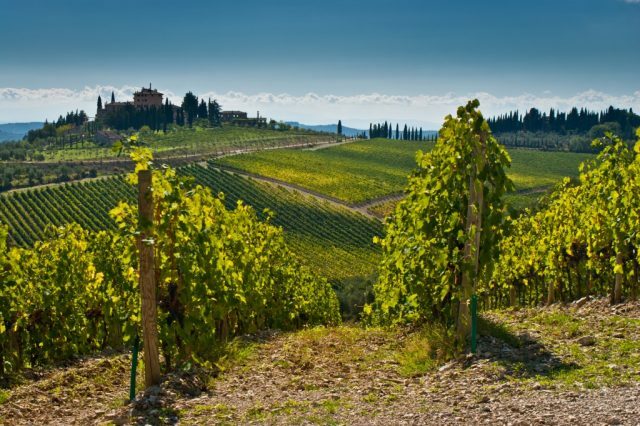 The name “Chianti” is synonymous of world-famous wine and bewitching landscapes. Standing upon a hill, the palette of colours below you combine to create a unique painting and the sheen of the olive trees shimmers through the silvery mists nestling amongst the tall green cypresses. The undulating terrain is awash with grapes and olives and, slowing right down, you’ll enjoy a side of Italy that few visitors ever see – farmers harvesting olives, infinite views over the rolling plains and lively fetes in hidden hilltop villages. Traditional stone farmhouses with central turrets once used for keeping pigeons pepper the horizon; their red-tiled roofs are instantly recognisable. Spring gives a new lease of life to the region, when fragrant beautiful roses come into bloom, wildflowers open up and blanket the meadows in yellow and purple, and the lush green hills brighten up the timeless Tuscan countryside. In May, aside from the mild weather, the countryside is stunning with bright red poppies dotting the hills and sage, olive trees and vines also in bloom. Pack a picnic and head to a panoramic picnic spot in sunflower fields, absorbing all that is around you. Chianti has been fought over for centuries, most famously between rivals Siena and Florence at the Battle of Montaperti in 1260. Castles and fortresses that lie on top of many hills overlooking the countryside bear testimony to this turbulent history and stand out as natural elements of the landscape. Inhabited since ancient times by the Etruscans, the area was also controlled by the Romans prior to mediaeval times and all have left their mark over the centuries. When fights ended, locals began cultivating the land and chestnut woods and oaks, olive groves and vineyards started to flourish on the valleys, enriching the beautiful Chianti region to what it is today. 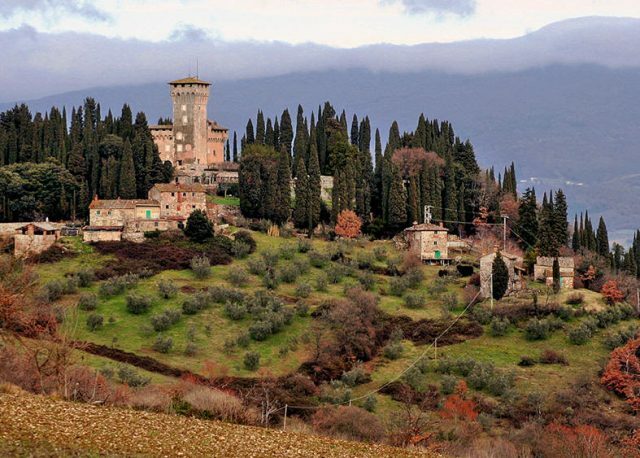 Headwater offer four self-guided holidays in the Chianti region, two exploring the region on foot and two by bike. Prices start from £1,159 per person, including all breakfasts and most evening meals.